So many people ask me how to make an authentic key lime pie recipe. It is simple really, as you will see here. If you can get your hands on real key limes, they work best. Mix the crackers, butter and sugar together. Press into a 9” pie dish. Bake for 12 minutes until the pie shell is golden. 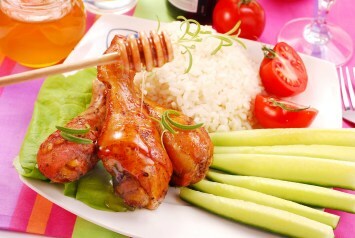 Meanwhile beat the egg yolks with an electric mixer until they lighten in color and thicken. Add the condensed milk and 1/2 of the lime juice, and whisk until combined. Add the remaining lime juice and the lime zest. Mix to combine thoroughly. Pour the lime mixture into the pie shell, and bake at 350° for 12 minutes. Remove from the oven and allow to cool. Whisk the whipping cream until it forms soft peaks. Cover the lime pie with the cream and serve. This recipe calls for a whipped cream topping on the pie, but like lemon pie, key lime pie is also wonderful with meringue. Leave the oven on after the pie is baked. Use the egg whites left over from the recipe, whip them until they form firm peaks (adding a few tablespoons of sugar near the end of the whipping), spread the meringue over the pie and bake for 5 minutes until it begins to look golden brown. Perfect meringue topped key lime pie. Key limes are smaller and sweeter than regular limes. No matter what anyone tells you, regular limes will work too, so go ahead and try it if you can’t find key limes. The only thing is you may need to add a touch more sugar. Key limes are available in most areas these days so hopefully you can find them. If you like this recipe, I’d love you to Pin it to Pinterest, Tweet about it, Like it on Facebook, leave a comment add your own favorite recipes below. 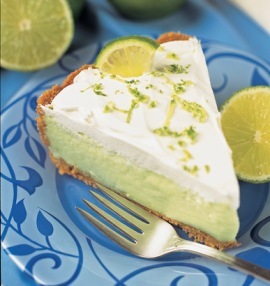 Look here to find more dessert recipes as good as this key lime pie recipe. I made this pie recipe for the first time (I have never made any kind of pie before). It was very easy, and everyone loved it so much. They said it was the best pie they’d ever had. Authentic key lime pie should always have a meringue top. never whipped cream. if it has whipped cream, it is not an authentic key lime pie. my family has lived in key west for 6 generations. I know what I am talking about. Thanks for your comment k. Meringue would be delicious too. I have always had it with whipped cream, but I am not a native of Key West. Whatever you prefer. K., where do you get authentic key lime juice? Key limes aren’t available where I live, and I’ve never been able to find real key lime juice. Do you know of any suppliers who ship it? Awesome cheese burgers called Goody Goody’s. They were Terrific. We also tried what they listed as, “The World’s Greatest Key Lime Pie”. I don’t know about that, because we haven’t tried it all over the world. 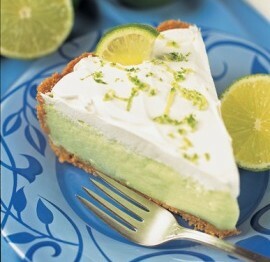 “The World’s Greatest Key Lime Pie”. We’ll let you decide that one for yourself. We can only recommend it.